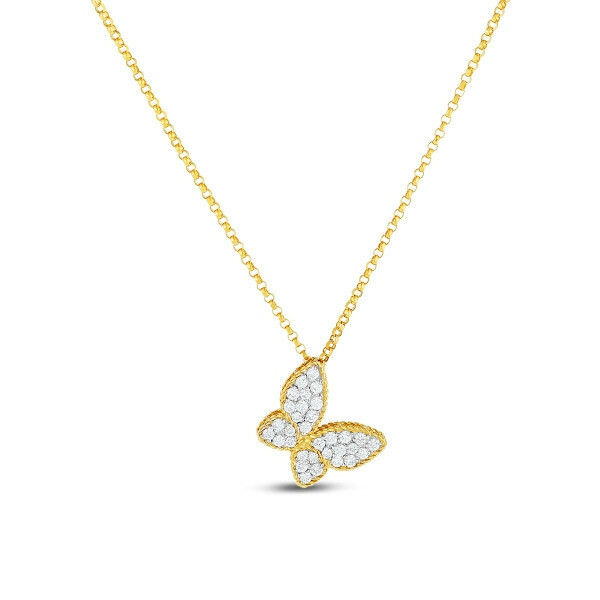 This necklace from Roberto Coin features a butterfly in flight, suspended on a precious metal chain. Crafted in 18K gold, the majority of the piece is warm, yellow gold, with white gold beneath the dazzling diamonds that decorate the creature's wonderful wings. This Roberto Coin pendant necklace is a great choice for nature-lovers.